When two titans of the Game Audio world partner up…. This unrivaled integration gives you the ability to send Wwise audio objects back and forth to BaseHead. Most all parameters, regions and FX recall when sending objects between the programs allowing you to make changes and replace the object in your Wwise project with ease while saving you time and money. We store objects transferred to Wwise in the left side PeekTree so you can quickly see the most recent transfers, recall them and update the object in Wwise with new parameter changes. The video below is a rough demonstration of this new feature in action tossing files back and forth between BaseHead and Wwise with fully synced parameters using WAAPI. Check it out at the bottom of the page! 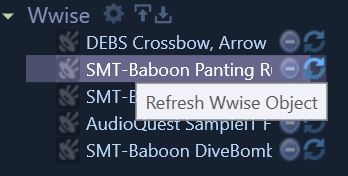 Clicking the far right Refresh Icon will replace the Wwise Object with the current loaded sound in BH. in typical BH fashion, you get visual feedback when a Wwise object is recalled displaying the WF in blue and a Wwise Icon in the bottom right of the WF. 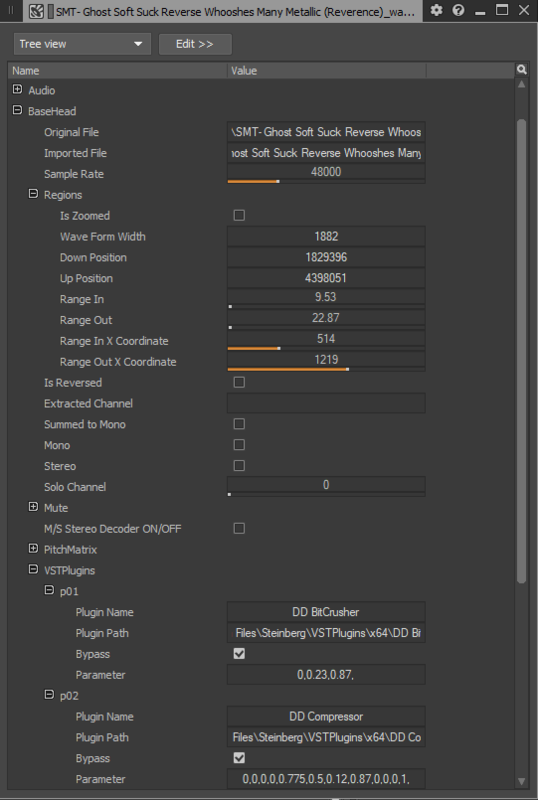 Some of the BaseHead parameter that can be stored and recalled and viewed in the Multi-Editor in Wwise. These parameter when edited in Wwise will also be transferred back to BH. 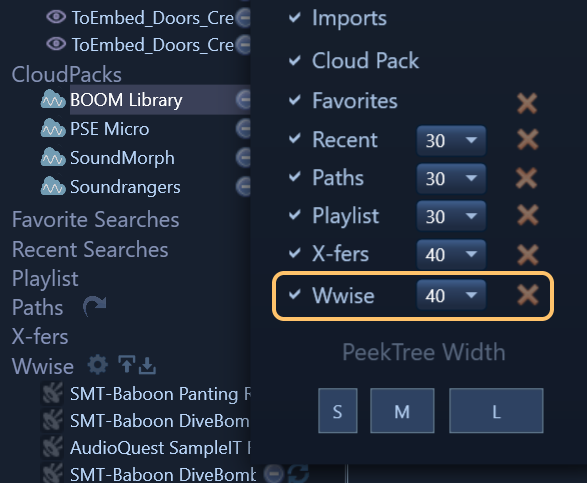 We added a separate Wwise node for the PeekTree that’s hidden by default that you show from the settings panel to see it. You have control of global parameters that are recalled when an object in the Wwise Node is clicked.